I’m adding yet another winner to the “yes, it works” deodorant list — meet Green Tidings All Natural Deodorant. It’s made in California in a solar-powered facility, and it’s packaged in a convenient twist-up tube that doesn’t easily gunk up with product during application. Our armpits are getting really spoiled really fast. 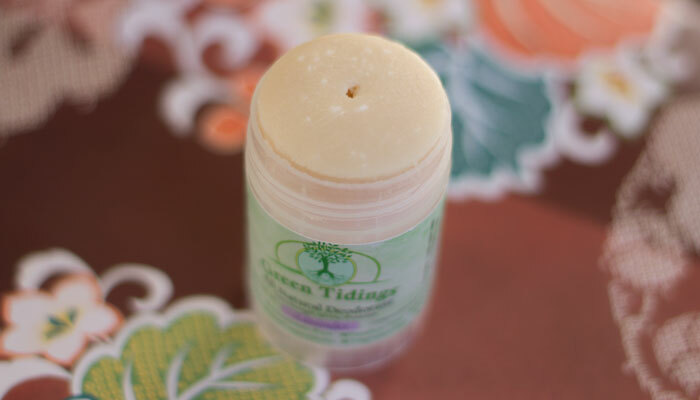 Available in both a 1-ounce trial size (shown here) and full 2.7-ounce size, Green Tidings All Natural Deodorant is a simple, non-irritating solution for beauties searching for a cleaner option in stick form. 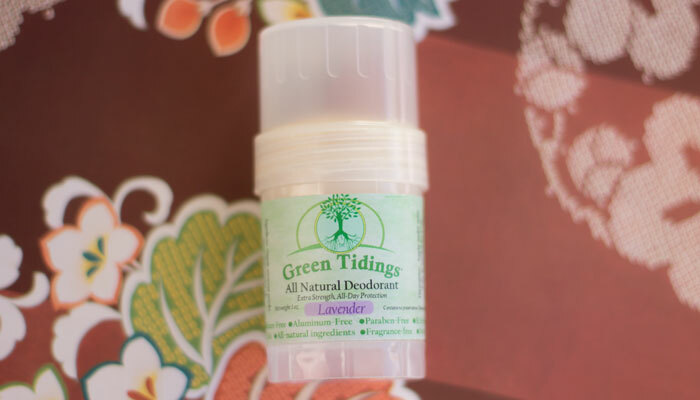 I tried Green Tidings All Natural Deodorant in both Lavender and Unscented and loved the subtle fragrance the lavender offered. I could easily make it through the workday with this natural deodorant, and it survived some home workouts as well. What a treat to have yet another winning deodorant on the market! And, it’s easily accessible on Amazon, so there’s really no reason to keep using a conventional deodorant. Have you made the switch to a natural deodorant yet? What’s keeping you? Have you tried Green Tidings? What’s your favorite natural deodorant brand? Tell me in the comments!